With summer in full swing, it's always a good idea to have art and craft supplies lined up, in the event you can't get the kids outdoors due to the heat. And parents expecting baby #2 or 3 or 4 for that matter, you'll want to stock up on fun indoor activities to pass the time with your older child(ren) when your newborn naps and you're all home bound! Read on for my review of Eco-Kids eco-dough! Given this ingredients list, you can imagine that eco-dough also has a pleasing, delicate scent. It's fun to see the natural hues in the dough that are brought forth from colors derived from fruits and veggies. The orange is decidedly sweet potato and you can picture the spinach leaves that were used to create the green. A tube of five, 4 oz containers including colors: red, orange, yellow, blue and green is well worth the $24. Eco-Kids also offers a gluten free version of their fantastic eco-dough for $30. I love that the eco-dough packaging is also environmentally-friendly and recyclable. One of my favorite things about Eco-Kids eco-dough is its backstory. Cammie, the woman/mom who makes the eco-dough from scratch got the recipe for the dough from her mother. She started selling her dough at farmers markets, and her endeavors spun into a thriving family business. 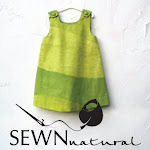 I think it's wonderful to support small, family businesses creating high-integrity, green, non-toxic products in the USA. The Eco-Kids collection of art supplies also includes eco-fingerpaint, eco-crayons, eco-art pad, eco-paste, and an eco-rolling pin crafted from sustainable wood, that would be the perfect complement to their eco-dough. 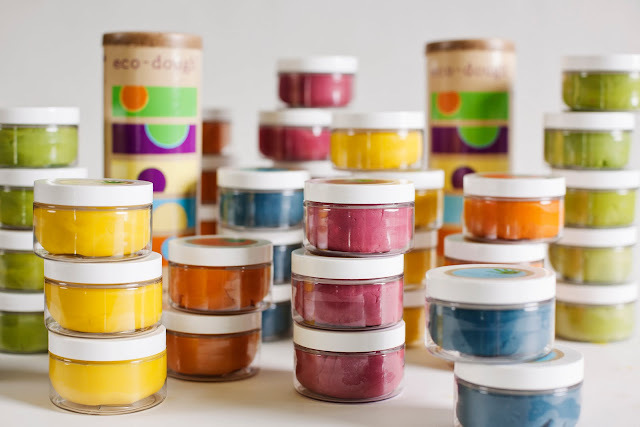 It's never too early to think about Christmas gifts -- and eco-dough would be the ultimate gift for the tots on your list. This is Miss O's earth. I think it's quite accurate! Fun. Do you know the brand Glob paints? Look them up I think you'll like them too. Yes! I wrote about glob here!